Thetford Bridge, Norfolk. The station forecourt and approach road with the bridge to the right. 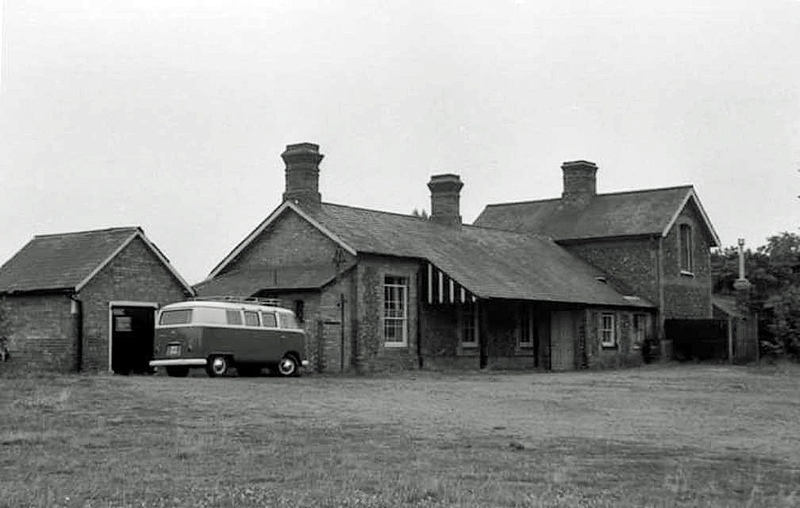 The station was located on the Bury St Edmunds to Thetford line which closed to passenger services on 8th June 1953. It was used for a short time as a youth hostel.